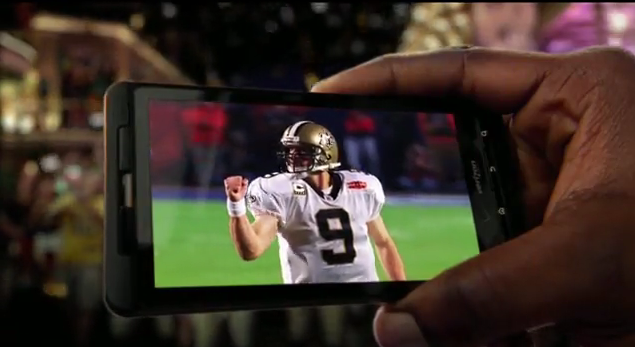 I’m actually pretty embarrassed to admit that we’re 5 weeks into the NFL season and have not posted this yet, but the Sunday Night Football intro features a Faith Hill in dire need of some devolumizer and our big 4.3″ family member, the Droid X. Verizon, as you’ll see throughout this intro is a big time sponsor and we were a little slow to realize it. And speaking of football, it looks like we’ve only got 13 players left in each of our Survivor Leagues. San Diego crushed some dreams last week, that’s for sure. Good luck to the rest of you! Lookout Premium Headed to Android "Later this Year"